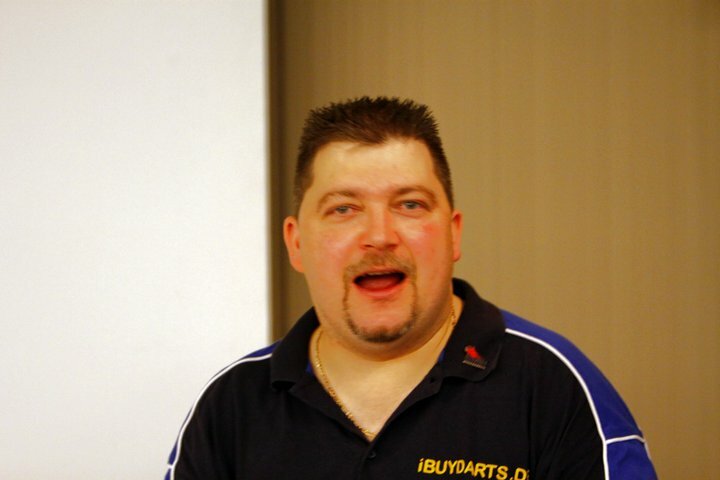 Marko Puls started to play darts in 1991. His first success he had in soft-darts before he started to play steel-dart as well. For years now Puls is one of the German Top ten players. Together with Karsten Koch he is a successful double - they once threw a Nine-Darter together. As Marko Puls found himself a sponsor (Keltik Darts) he now thinks of playing more of the Pro Tour tournaments in England. Picture with courtesy of Thomas Schröer/PDC Europe.